I would like to announce the upcoming European Travel Law Forum, which is going to take place June 30th to July 1st in Salzburg. It will be connected to the IFTTA Europe Workshop which is going to follow on July 2nd. Some IFTTA members as our Co-president Michi, Klaus Tonner, Josep Bech, Ronald Schmid and Ernst Fuehrich will present and discuss recent topics of international travel law. Full translation EN/DE will be provided! British Airways, American Airlines and Iberia won EU antitrust clearance on Wednesday to deepen their Oneworld alliance on transatlantic routes and better compete with rival groups. Following the privatisation of Aer Lingus by the Irish Government in 2006, Ryanair acquired a shareholding of 19.16 % in the share capital of that company. On 23 October 2006, Ryanair launched a public bid for the entire share capital of Aer Lingus and notified the Commission a week later of its planned takeover, in accordance with the Merger Regulation. During the public bid, Ryanair bought further shares and on 26 November 2006 it held 25.17 % of Aer Lingus’s share capital. 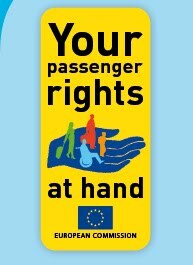 "Transfer of passenger name records (PNR): The Commission adopts two initiatives to comply with the Ruling of the ECJ"
According to the EU Press Room, "The European Commission adopted today two initiatives to put a legally sound framework in place for the transfer of PNR data to the United States. These initiatives are the first European answers to correct the legal basis for the Agreement with the US that was struck down by the European Court of Justice on 30 May 2006. The Court ruled that the Article 95 EC-Treaty was not an appropriate legal basis for the transfer of PNR data which are essentially aiming to ensure public security and activities by public authorities in areas of criminal law. Read more about "Transfer of passenger name records (PNR): The Commission adopts two initiatives to comply with the Ruling of the ECJ"
The European Commission adopted a Communication which sets out an ambitious policy approach to halting the loss of biodiversity by 2010. In particular, it provides an EU Action Plan which proposed concrete measures and outlines the responsibilities of EU institutions and Member States, respectively. It also specifies indicators to monitor progress, and a timetable for evaluations. It spells out what needs to be done to halt biodiversity loss in the EU and to meet the international commitments to reduce biodiversity worldwide. The EU Commission's Aviation Blacklist has been published in the Official Journal 24 March 2006 . The publication of the list will allow passengers to make informed choices even when they travel outside the EU, in countries where these flight bans do not apply. The preparation and finalisation of the list is the result of successful co-operation between the Commission, the Member States and the European Parliament.